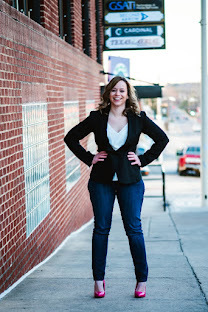 ARK Therapeutic began many years ago when Debbie was on the search for more oral motor therapy tools, her & her husband created an oral sensory motor tool out of 100% medical grade materials called the Probe, then along came the Z-Vibe & Z-Grabber. Today ARK Therapeutic offers an extensive line of therapy products for oral motor development, sensory integration, fine motor, feeding, chewing & more! Big Brother C has always shown fine motor & oral motor development issues, over the years we've discovered & fallen in love with many therapy tools & products & I have to say "chewy's" are the best invention ever! 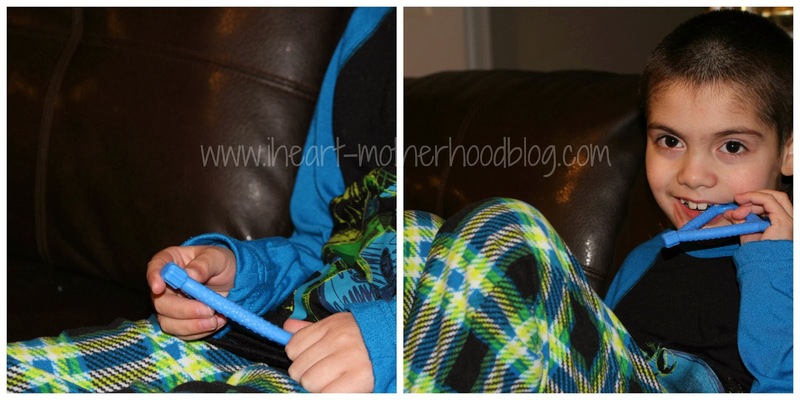 I was sent a Textured Grabber & Tri-Chew from ARK Therapeutic for my son to try out, the Tri-Chew has ridges, bumps & swirls on each end to simulate the various textures of food used for chewing. The texture provides sensory input for the lips, gums & tongues & the triangular shape is great for little hands too! The Textured Grabber has three different surfaces to chew on, a smooth side, one with circular bumps & another with rectangular bumps. The three textures stimulate the feel of actual food for realistic non-food chewing practice while offering sensation to cheeks, lips, gums & the tongue. Isn't he a cutie? We always have chewy's on hand, my son knows he can grab one at anytime he feels he needs one to chew on or just wants one to hold. I'm so glad "My Big Guy" loves his new chew tools from ARK Therapeutic! Buy it: You can purchase therapy tools like chewy's, toys, books & more online at ARK Therapeutic! 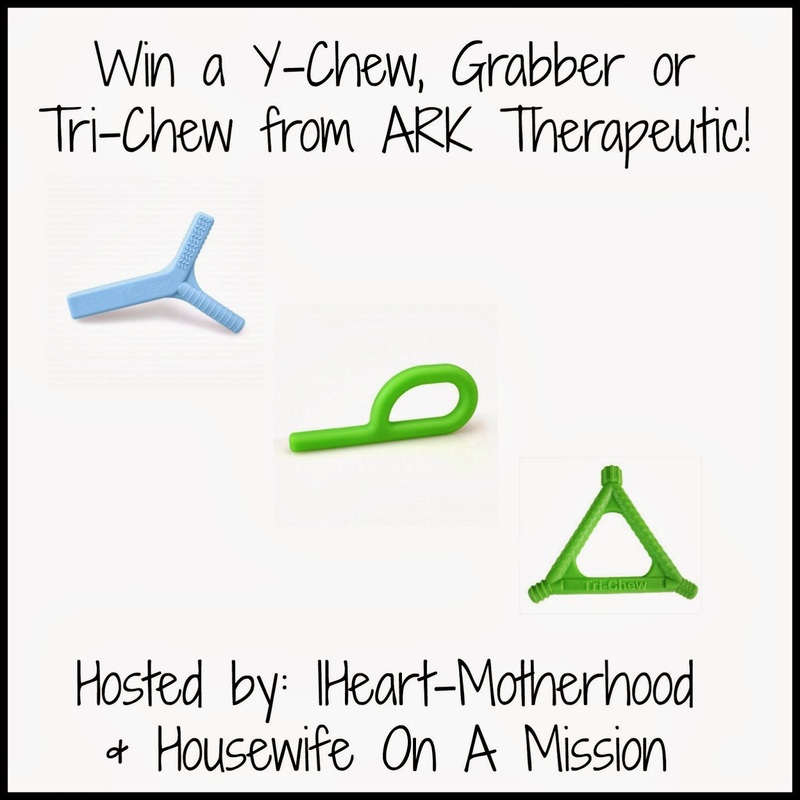 Win it: One lucky reader will win any Y-Chew, Grabber or Tri-Chew from ARK Therapeutic!